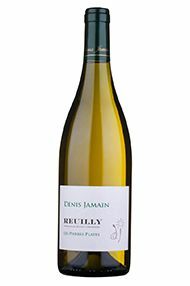 Denis Jamain owns 15ha of vineyards in the Loire wine appellation of Reuilly, about 10% of the entire appellation. The vines are planted on gentle slopes of limestone and clay. The estate applies the principles of la lutte raisonée. 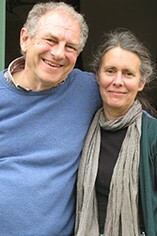 Denis works with the three permitted varieties of Sauvignon Blanc, Pinot Gris and Pinot Noir. The domaine‘s wines are vinified in a very modern, temperature-controlled winery which is equipped with thermo-regulated stainless steel vats. Each vineyard parcel is vinified separately with full traceability. Les Pierres Plates Blanc consistently outshines many wines from the more prestigious appellations of Sancerre and Pouilly-Fumé. That’s no surprise when one considers the vineyard’s superb terroir. The 2017 is showing brilliantly now: it’s bright and expressive on the nose, with lashings of citrus fruit, as well as subtle tropical and savoury notes. The palate may be relatively round and generous, in keeping with the warm vintage, but there’s plenty of acidity, and a steely, mineral character to the long finish. This is impeccably balanced. Drink now to 2021. With its explosive red berry and floral aromas, this wine is a paean to Pinot – and to the vineyard’s Kimmeridgian clay-limestone soils. The palate is fine-boned and exceptionally refreshing. 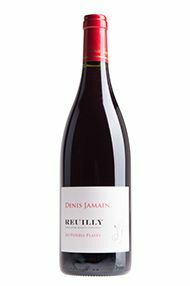 Denis chooses to raise his Pierres Plates Rouge exclusively in stainless steel, before bottling early – in the spring following harvest – to lock in the acidity and bright primary fruit. A great match for salmon, white meat or charcuterie, not to mention meat or vegetable curries. Serve it lightly chilled. Drink now to 2022. Sunny and seductive, with aromas of pear, lychee and ripe citrus. The full, rich palate flirts with excess, but only flirts – there’s racy acidity throughout. Try this with oriental dishes or a Caribbean curry.